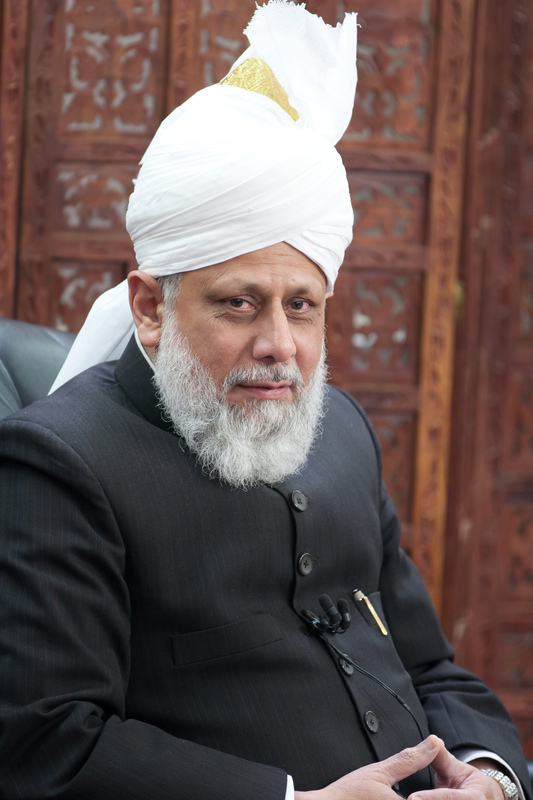 'Pakistan Exists thanks to Uncle' – For Christians, To be Born Again in Islam! 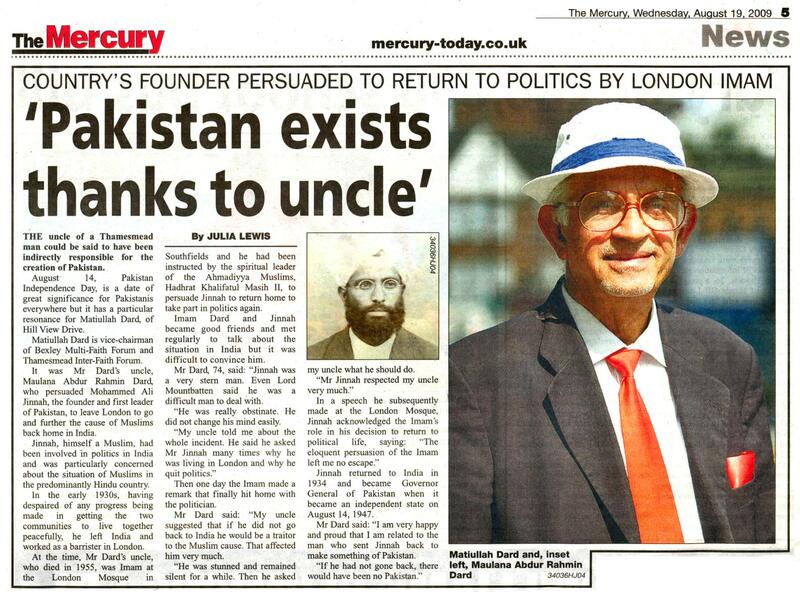 This article refers to testimony of Prof. Muttieeullah Dard about the historic meeting of his uncle, Maulana Abdur Raheem Dard, Imam of London Mosque in thirties and Muhammad Ali Jinnah, the Founder of Pakistan. The meeting led to Jinnah’s return to sub-continent politics and eventual creation of Pakistan in 1947. Then one day the Imam made a remark that finally hit home with the politician. Mr. Dard said: My uncle suggested that if he did not go back to India he would be a traitor to the Muslim cause. That affected him very much. He was stunned and remained silent for a while. Then he asked what he should do. The fact of historic meeting between Maulana Dard and Muhammad Ali Jinnah was published in Sunday Times London on the 9th April,1933 & many other news-papers around the world. Prof. Muttieeullah Dard is Vice-Chairman, Bexley & Thamesmead Multi-Faith Forums, London.